Architecture has never been so adorable. Last week, we threw out some ideas for architectural-themed Halloween costumes, including a proposal for a New Museum costume. 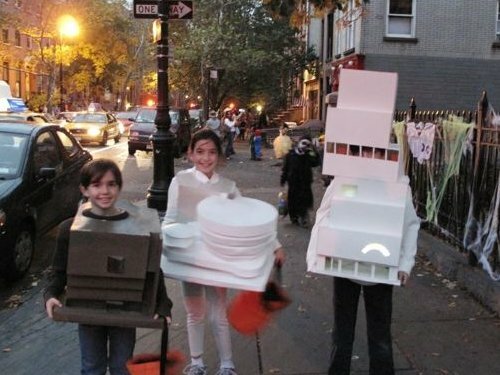 Well, we’ve been one-, make that twice-upped by this adorable trio, who were spotted Trick-or-Treating in Cobble Hill by a colleague. Marcel Breuer, Frank Lloyd Wright, and SANAA must be so proud.